Cut the tops off 2 lbs of strawberries, cut them into quarters and place them in a clean glass jar with 1 btl Clique Vodka. 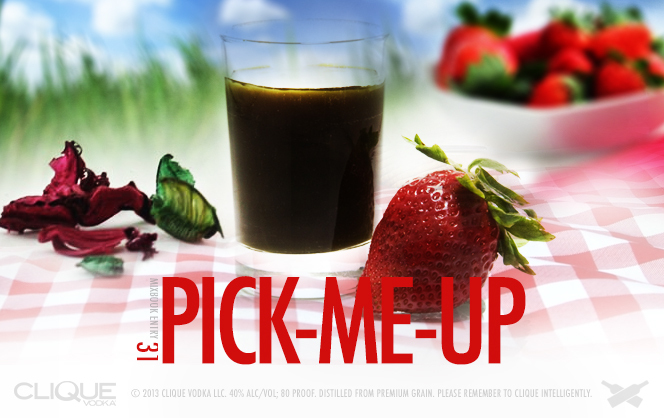 Shake 1-2x per day for 3-5 days, or until the infusion has turned a light red color and smells like sweet strawberries. Strain out the strawberries and funnel back into the original bottle. For a quick “Pick-Me-Up” just add 3/4 oz strawberry infused Clique Vodka, and 1/4 oz chocolate syrup to a cocktail tin full of ice and shake very well. 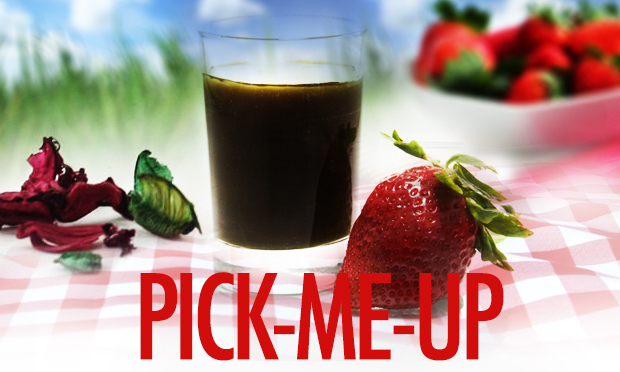 Strain into a shooter glass, and enjoy a nice little treat whenever you need a lift…well at least until you have to make more strawberry infused Clique that is!